check out my FB page for the latest and greatest offers and a little fun too. ...if they buy from me directly, I send you $Money$!!! I offer a $50.00 finders fee for anyone you refer to work with me for their vehicle purchase. Make sure the customers you send let me know that it was you who sent them (& they ask for me when they're here). I will give them the same quality service that I have tried to afford you. What is the biggest Christmas present ever given in the United States? Many have won AND most have collected (another happy winner last month)... don't miss out! Answer to last month's question: How long was the first Thanksgiving? If you can't make it through the daylong celebration of food, football and family be thankful that you weren't around for the first Thanksgiving. That celebration took place in the fall of 1621 in Plymouth Colony between European settlers and the Wampanoag Indians and it lasted three days. Talk about a food coma! 2. Santa Claus was a real Saint. He lived in Myra in the 300's. Myra is in what's now Turkey. The German name for Saint Nicholas is Sankt Niklaus. 3. The first artificial Christmas Tree wasn't a tree at all. It was created out of goose feathers that were dyed. 4. Christmas has many, many names. Do you know some of them—aside from, of course, Christmas? How about? Sheng Tan Kuai Loh (China), or Hauskaa Joulua (Finland), or Joyeux Noel (France)? In Wales, it's Nadolig Llawen, and in Sweden, God Jul. 5. That "Xmas" stems from Greece. The Greek "X" is a symbol for Christ. 6. Riga, Latvia was home to the first decorated Christmas tree. The year was 1510. About 36 million Christmas trees are produced each year on Christmas tree farms. 7. The Candy Cane is one of the most familiar symbols of Christmas. It dates back to 1670 in Europe but didn't appear in the U.S. until the 1800's. The treat we see today, where the shape is Jesus's hook to shepherd his lambs and the color and stripes hold significance for purity and Christ's sacrifice, became common in the mid 1900's. 8. The Christmas Stocking got its start when three unmarried girls did their laundry and hung their stockings on the chimney to dry. They couldn't marry, they had no dowry. But St. Nicholas, who knew of their plight, put a sack of gold in each stocking and in the morning the girls awoke to discover they had dowry's. They could marry. Hope you are enjoying your Holiday Season. I know I"m excited about next week...a couple days off with my favorite people in the world...Nothing could be better. We have all the presents ready to go for the girls and Autumn will be enjoying her first Christmas with us. My mom and Rachel's mom will be joining us (weather pending). I like to say that I feel truly blessed to be part of your monthly read and thank you again for being true to yourself. I appreciate everyone I've met over the years. This is probably a carry over from Thanksgiving but Thank You, Thank you!! I feel it's time to take stock and appreciate how blessed I really am. I spent a whole day with our new baby Autumn yesterday and we did nothing but hang out, eat, play and nap together. If you've never done this with someone you love before, I highly recommend it. We sang songs to Pandora radio on my phone, she talked to me...was so much fun and it really opened my eyes. That little girl has enlightened me more than I could have ever imagined. Sorry to run on about it, just a happy dad I guess. I wish you the best and hope you get a chance to stop your world for a brief moment and spend it with the ones you love. Happy Holidays! Merry Christmas! !...and have a Happy, Happy New Year!!! our complimentary 2yrs maintenance program! 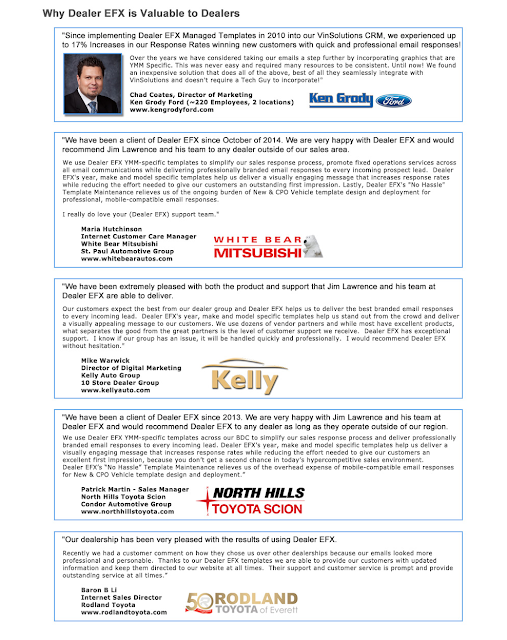 You are receiving this email because you inquired about or purchased a vehicle from Toyota Scion of Des Moines recently or in the past. If you prefer not to receive further emails from us, click here to unsubscribe. Alternatively, you can send a written request to the address below. We'll remove you from our list as quickly as possible. This email was sent to rpaglia@gmail.com on December 18, 2014. To contact us please visit http://www.toyotadm.comor call (515) 276-4911.